When it comes to the possibility of God's existence, the Bible says that there are people who have seen sufficient evidence, but they have suppressed the truth about God. On the other hand, for those who want to know God if he is there, He says, "You will seek me and find me; when you seek me with all your heart, I will be found by you." But the most important question to ask yourself, If God does exist, would I want to know him? With that important question asked lets look into the question 'Does God exist?' Where is the proof? Does God exist? Our planet's complexity points to a designer. 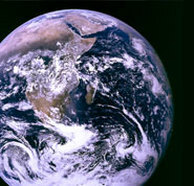 The EARTH...Based off of science alone, our planet is just perfect. Any larger and our atmosphere would contain more free hydrogen. All living organisms would be crushed by the greater gravity due to increase in mass. Jupiter and Saturn show this in our solar system. Any smaller and we would have no atmosphere and be subject to the heat or cold depending on distance from the sun. Mercury and Mars demonstrate this. 5% closer to the sun, our planet would have run away greenhouse effects like Venus. 20% further away from the sun, Carbon clouds would freeze in the upper atmosphere sterilizing the planet like Mars. Water...colorless, odorless and without taste, and yet no living thing can survive without it. It has an unusually high boiling and freezing temperatures. It is a universal solvent allowing it to carry minerals within bodies of organisms in tiny blood vessels. It is chemically neutral allowing it carry minerals without altering its properties. It has a unique surface tension. Water in plants can therefore flow upward against gravity, bringing life-giving water and nutrients to the top of even the tallest trees. It freezes from the top down and floats, so fish can live in the winter. Deep in our planet's core, movement of liquid iron generates a protective Magnetic Field. If the earth was smaller, its magnetic field would be weaker, allowing solar winds to strip away our atmosphere. These are only 3 of the most common factors necessary for our existence. Currently scientist deemed no less than 20 factors in an ever growing list of factors that need to be met simultaneously for life to be possible on this planet. Assigning each a conservative 1/10 chance of occurrence, the result is 1 in 1,000 trillion chance, or 1 / 1,000,000,000,000,000. The Eye...can distinguish among seven million colors and requires the equivalent of a billion operations per second computing power. It has automatic focusing and handles an astounding 1.5 million messages -- simultaneously. It can handle going from high to low light in a fractions of a second. Evolution focuses on mutations and changes from and within existing organisms. Yet evolution alone does not fully explain the initial source of the eye or the brain nor the start of living organisms from nonliving matter. Anyone who writes an instruction manual does so with purpose. Did you know that within every cell of our bodies there exists a very detailed instruction code? As you may know, a computer program is made up of ones and zeros, like this: 110010101011000. The way they are arranged tells the computer what to do. 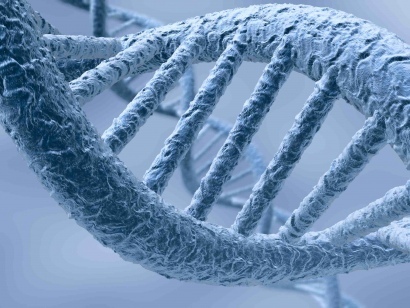 The DNA code in each of our cells is the same way but with far more information stored. It's made up of four amino acids (easily destroyed by sunlight, electricity, temperature, pressure, & other mild chemicals) that scientists abbreviate as A, T, G, and C. These are arranged in the human cell like this: CGTGTGACTCGCTCCTGAT and so on. There are three billion of these letters in each human cell!! A human DNA strand that is about 2.5 nanometers wide (a human hair is about 20,000 nanometers wide) and around six-feet long. It contains the entire blueprint to assemble over the two trillion cells (parts) that make up a human. A single strand of DNA is equal to about 750 megabytes of information. To put that in perspective, if you could store binary code in DNA stands you could store every book ever published (Google estimates that to be around 26 million books & Library of Congress has 20 million books) in only about 2” of the same rope strand. Scientist have said 1 strand of human DNA contains 600,000 pages of information. Human chromosomes is a single strand of DNA coiled up, "If stretched out, would form very thin thread, about 6 feet (2 meters) long. (e) So if you do the math one human chromosome can store 36 Library of Congress upon it. Then factor in humans have 46 chromosomes each, you have a whopping 1656 copies of the Library of Congress in each cell of your body. Cells replicate this chromosomes with nearly flawless perfection. Once in every 100 million amino acid pairings can result in a mistake. However the cells have a sophisticated checking systems that corrects 99% of these errors. So the possibility that a single cell can mutate is minuscule (1 in 10 billion chance). This chance must then be multiplied by the number of cells any particular creature has in order for the creature to carry the mutation (humans have estimated 100 trillion cells). In addition all mutations occur due to a degrading of information in the DNA strands due to unnatural damage (like radiation). Also all mutations within organisms are never beneficial and have either have no effect or turn out to be lethal. With that said it safe to say evolution can not and will not happen regardless of whether give millions of years or even billions of years or any lengthy period of time. But IF from thence THOU SHALT SEEK THE LORD THY GOD, THOU SHALT FIND HIM, if thou seek him with all thy heart and all thy soul.